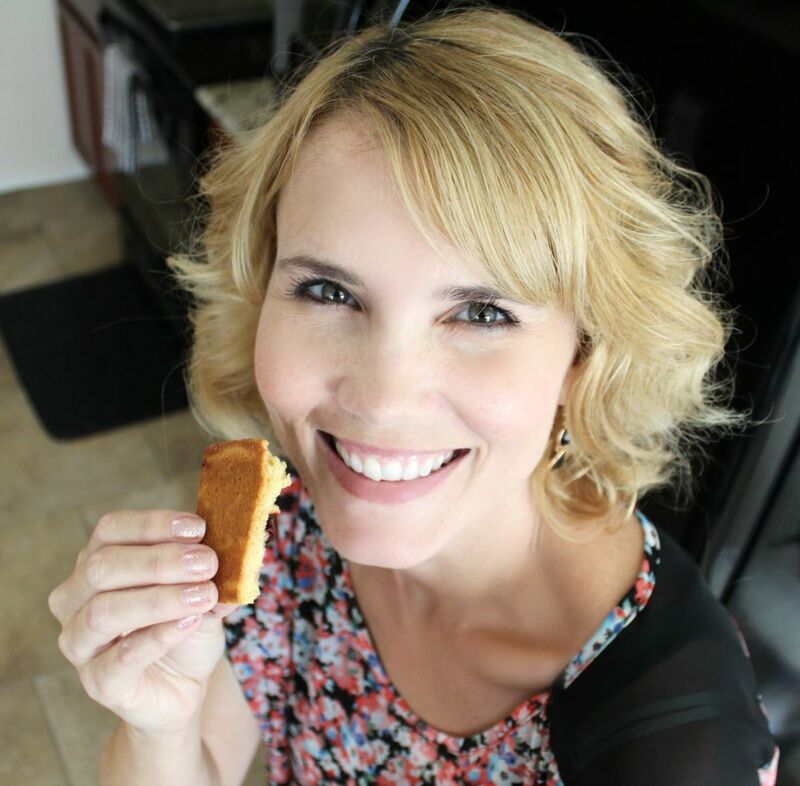 This is a sponsored post written by me on behalf of Fiber One for IZEA. All opinions are 100% mine. You know that moment when you’re sitting outside at a public playground watching your child play and the designated bully comes up to them and says something mean? Or maybe they take a toy away and call them a stupid head. That’s the moment our mother bear instinct kicks in and we’re trying to decide if we punch this kid in the face or if we handle it like the adult we know we’re supposed to be. That instinct is normal. It’s there for a reason. We as moms know we’ll do everything and anything in our power to protect our cubs, er, kids. I like to compare this mother bear instinct to my evening cravings. Stick with me here for a minute. If you’re anything like me, around 7:30 to 8:00 pm, after dinner is eaten and the kitchen is (sometimes) cleaned up, I get a craving. But I’ve always heard (I’m pointing to you Oprah) that you should never, under any circumstance eat after 7:00 pm in order to maintain your weight. So I sit there, fighting this perfectly normal instinct to eat something. I even say out loud to my husband “man, I’m hungry” to which he says “um, so eat something”. Like, duh right? The mother bear instinct is normal. The evening cravings are normal. Now I’m not telling to you head to the refrigerator, graze for 30 minutes, eating ALL THE FOOD. I’m telling you to snack on something that allows you to indulge your taste buds, but doesn’t make you crawl into bed and curse the day you were born. Now, you should know I’m a wild woman. It’s true. So my idea of the perfect evening consists of dancing all.night.long. 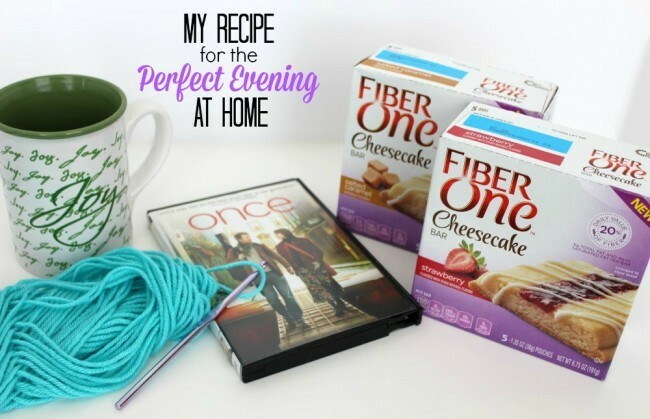 Lies – it consists of a snack, cup of coffee, a fantastic movie and my crochet. Told you I’m a wild one! 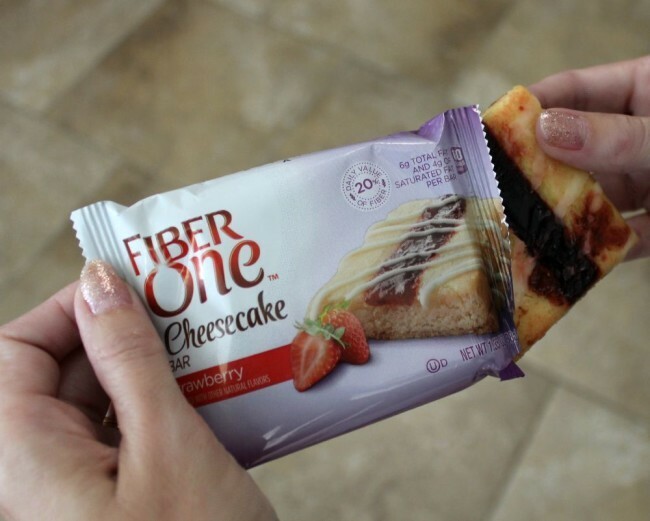 Fiber One Cheesecake Bars are available nationwide beginning August 2015 at major grocery and retail stores with a suggested retail price of $3.89 per box of five 1.35 ounce pouches. 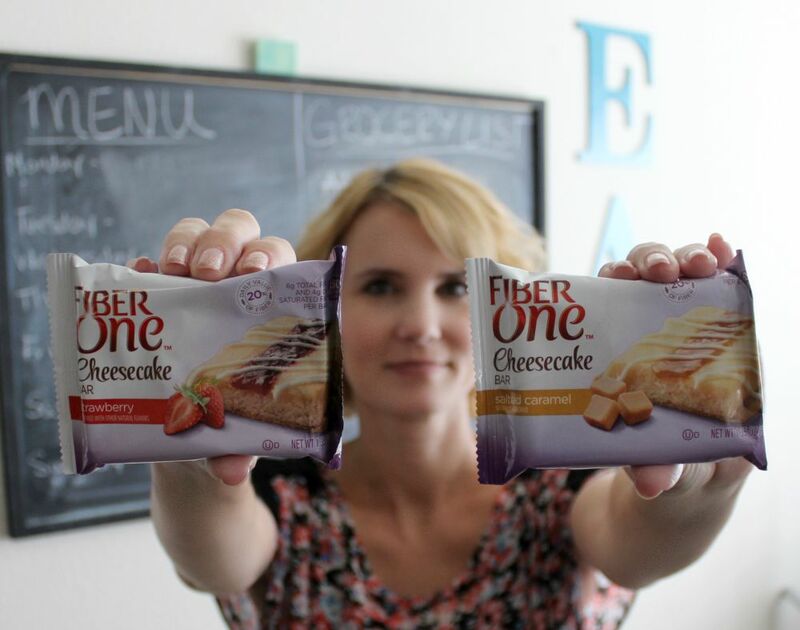 You can purchase Fiber One Cheesecake Bars in Salted Caramel and Strawberry flavors. I’ve had both. Don’t ask me which is my favorite because I seriously don’t know. In celebration of the new Fiber One Cheesecake Bars, Fiber One kicked off their very first Cheesecake Appreciation Month which started on National Cheesecake Day – July 30 and goes through August. 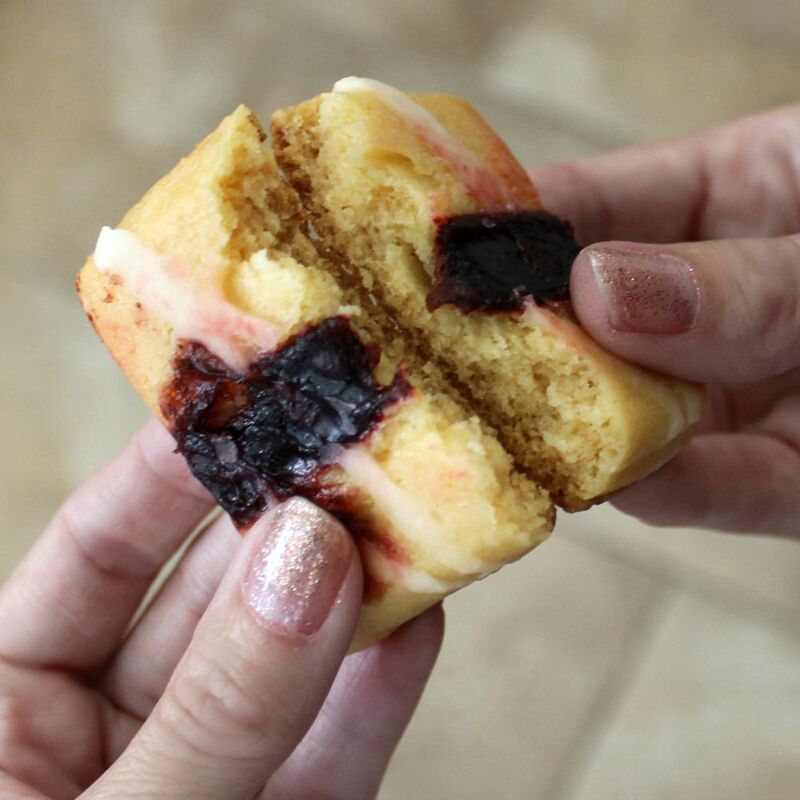 Fiber One will have an Edible Billboard at Grand Central Station in New York City (*Currently Googling plane tickets to NYC*), plus they’re hosting the Fiber One Cheesecake Appreciation Month Sweepstakes on Facebook. 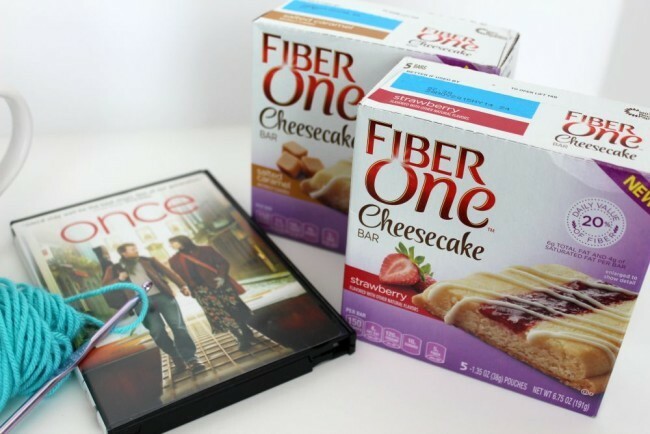 You can enter for a chance to win a year’s supply of Fiber One Cheesecake Bars. Dang. Sign me up! Do you get evening cravings? If so, do you give into those instincts or fight it like the plague?